Tomorrow is the one-year anniversary of the shooting at Marysville-Pilchuck High School. I live in Marysville, Washington (and have two kids in school). It's a bedroom community bursting at its borders with 10 elementary schools, four middle schools, and another four high school campuses. There are not a lot of violent crimes here. Still, on Friday, October 24, 2014, a 15-year-old boy brought one of his father's handguns to school with him, walked into the cafeteria, and shot five of his friends and then himself, all in the head. Only one of the kids survived. He was the shooter's cousin. This city was stunned. People are still hurting. The kids and community members have decided the cafeteria can no longer be used so they're raising funds to build a brand new one. Counseling and counselors on every campus have been necessary. Fear and uncertainty fills our hearts. One troubled kid with easy access to a gun (kept in the center console of his dad's truck complete with extra ammo) did this. Caused this. Inflicted unspeakable pain and tragedy on an entire community of families. 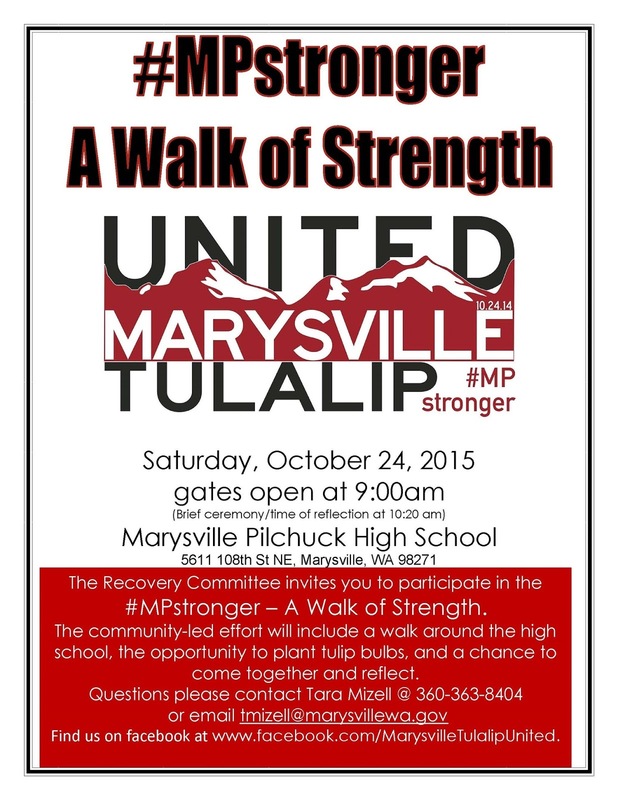 A "Walk of Strength" and planting of red and white tulip bulbs is planned for tomorrow morning at the M-P campus. That is an uplifting and special way to commemorate, and hopefully change the focus of, a terrible tragedy. 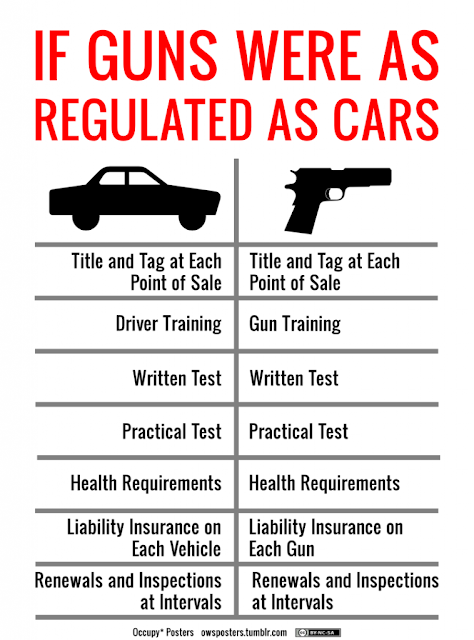 However, problems with our gun laws and regulations remain. Jaylen Fryberg could too easily grab a handgun, make a decision that his teenaged brain's not yet fully formed frontal lobes weren't capable of making, and change the lives of who knows how many people in one way or another. Now, people, the gun belonged to the shooter's father and he wasn't supposed to have it. Ray Fryberg had an order of protection placed against him which said he could not possess firearms. He later lied when filling out forms to purchase guns. He has since claimed that he didn't know he wasn't allowed to have guns. Then why did he lie? This entire situation demonstrates the need for mandatory, comprehensive background checks, firearms licenses, and perhaps a legal age that we can (hopefully) assume someone can be trusted with a gun. Look, children are dying. Our babies are being shot to death EVERY DAY in this country. That should not stand. That should NOT be OK.
Kerri's post, chock full of statistics on gun violence, asks, Why are we not taking action? The Plagued Parent brilliantly points out The Crossfire of Vanity. ___ See even more from Finish the Sentence bloggers and others lending their Voices for Gun Sense.